Some days pack more punch than others, and Friday, January 25th was certainly one of them for the denizens of Washington, D.C. and for Federal workers, who finally received some respite from a 35-day partial government shutdown. 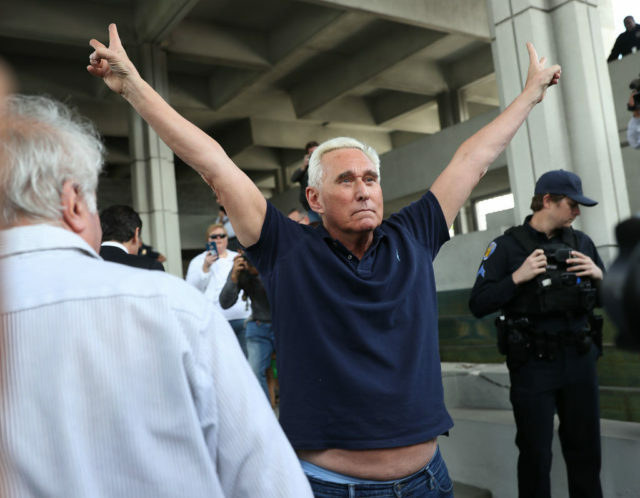 As for the chief D.C. denizen, Donald Trump, the day literally dawned with his former campaign advisor and long-time associate Roger Stone being arrested in Ft. Lauderdale by a heavily armed FBI squad. The FBI was acting on what had been to that point a sealed, 7-count indictment issued by the Mueller investigation—charges range from lying to Congress, to witness tampering and obstruction of justice. Conspiracy charges were conspicuously absent, but many observers believe that those will follow. And, while Stone claims that he takes his dirty tactics just up to the legal line and no further, what he regards as the “line” could be deeply subjective and self-serving. Certainly not in keeping with the statutes the grand jury now says he has violated. For a much closer look at today’s charges against Roger Stone, see here; for the text of the 24-page indictment itself, see here. One of Roger Stone's many outlandish "looks." I won’t even attempt to unravel all the legal issues at stake in Stone’s arrest—and, unless our system of justice has been fatally wounded by the last two years, he remains not guilty until proven guilty by the facts in a court of law. With that said, we know from his own characterizations (not to mention a long paper trail of texts and emails) that he’s willing to push the limits. This combination makes for an interesting analysis, so we will take a look at his noon chart (no time is known, information from Wikipedia.com) with all this in mind. But first, let’s briefly consider the arrest chart for just past 6 a.m. this morning. It speaks volumes! Chart #1: FBI arrests Roger Stone, January 25, 2019, 6:05 a.m. ST, Ft. Lauderdale, FL. Tropical Equal Houses, True Node. Saturn and Pluto rise, straddling the Capricorn Ascendant. What better reflection of the facts on the ground could there have been this morning? The FBI (Saturn-Pluto) showed up at Stone’s doorstep roughly an hour before dawn (note the Sun has yet to reach the horizon), and they weren’t asking him to “pretty please come with us”—they were armed with heavy weapons and prepared for push-back. In fact, Mars (Aries) squares both Saturn and Pluto, indicating the heavily armed nature of their law enforcement encounter. The shocking nature of it all was also covered in this chart—Uranus (Aries) widely squares Pluto as well as squaring the Pluto/Mercury midpoint and South Node (both at 26°+Capricorn). The news coverage was swift, heavy, and potentially devastating, from Stone’s (and probably Trump’s) point-of-view. Michael Munkasey cites “breakdowns” in networks and communications and “high security communications and intelligence activities” for the Pluto/Mercury midpoint—aside from the clear connection this has to the FBI arresting Stone, how appropriate is this midpoint on a day in which the other news involved a government shutdown causing airline cancellations and delays! Trump is no neutral observer in this FBI saga, of course—the growing parade of former campaign officials and advisors under indictment bears witness to that, but it also shows in the fact that his security-conscious natal Saturn-Venus conjunction (23°+-25°+Cancer, chart not shown) ties very snugly into this event chart. So, despite press secretary Sanders’ statement to the contrary, Stone’s legal problems certainly do concern Trump in one way or another. Exactly how is likely to come clear over the next year: both Saturn and Pluto will continue opposing Trump’s Cancer points for the entire year ahead and into 2020. Considering Trump’s Venus is under pressure here, it’s fair to guess that his finances, friends (Stone?) and other relationships will be heavily scrutinized. In his earlier life he depended very heavily on his father (Saturn) for his financial stature (Venus); now we have to wonder how questionable banking institutions (Venus-Saturn) have picked up where Fred Trump left off, keeping Donald afloat with sketchy loans and possible money laundering activities (hear more about these lines of inquiry here). Cardinal Grand Cross: Uranus (Aries) opposes Pallas (Libra); this axis squares Pluto-So. Node (Capricorn) opposite No. Node (Cancer). Pallas couldn’t be more clearly situated here: elevated in the chart and shocking the waking world this morning by demanding justice. 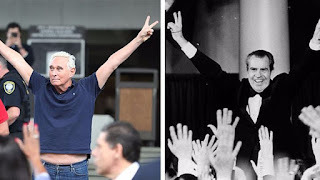 Later in the day, outside the courtroom where he was arraigned, Stone signaled his defiance by ostentatiously flashing the cynical “Victory” sign that Richard Nixon immortalized when exiting the presidency in 1974: Pallas fell at 27°+Capricorn that day (August 9, 1974), just a degree beyond today’s No. Node. What goes around does appear to be coming around, indeed. Stone's "dirty trickster" reputation has sound roots. 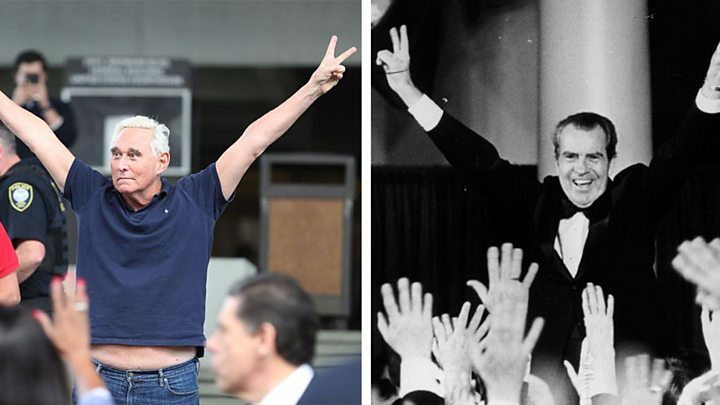 In fact, if the Trump saga and the role Stone is accused of playing in it remind us of Watergate and Nixon, there’s a reason—not only was Stone there (he apparently sports a Nixon tattoo on his back, as well), but Saturn and Pluto played key roles in their waning 3Q (in cardinal signs) during Nixon's years, too. These potent energies helped reveal and aggressively prosecute the corruption then, and they’re doing so again. Jupiter conjoins Venus (both Sagittarius) and both trine Mars (Aries); Venus trines Eris (Aries). Jupiter is feeling its oats these days in Sagittarius, and its ambitious goals have the support of a self-assured Venus, as well. The fiery trines with a dignified Aries Mars suggest that all systems were go today for some important priority; Mars also assures that those with helpful connections to these points enjoy intense focus. It’s hard to look at this configuration and not see Madame Speaker, Nancy Pelosi, in fact—her quiet, dignified demeanor often seems to mask some real passion and one-pointedness. These aspects also reflect a connection between the Stone arrest and Trump’s decision to cave in to Democratic proposals for reopening the government today. Re-opening the government today did crowd the Stone arrest out of the news for awhile, and with all the intense Capricorn energies assailing his Cancer points, Trump may have finally reached his breaking point. He may never admit to feeling the negativity surrounding the shutdown or about today’s high-profile arrest, but his chart says he’s more sensitive than he seems. So why not take advantage of the nice Sagittarius energies that are moving in on his natal Moon (21°+ Sagittarius; chart not shown)? What an emotional relief they would provide if the stand-off was just over. We may not have seen the last of this shutdown drama, but if the Stone arrest was a catalyst for some relief, we’re making progress! 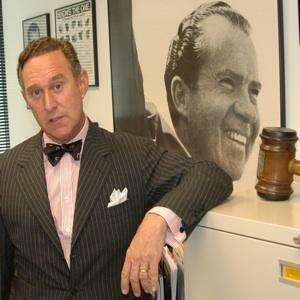 KTSA.com writes "Roger Stone thinks he's being persecuted." 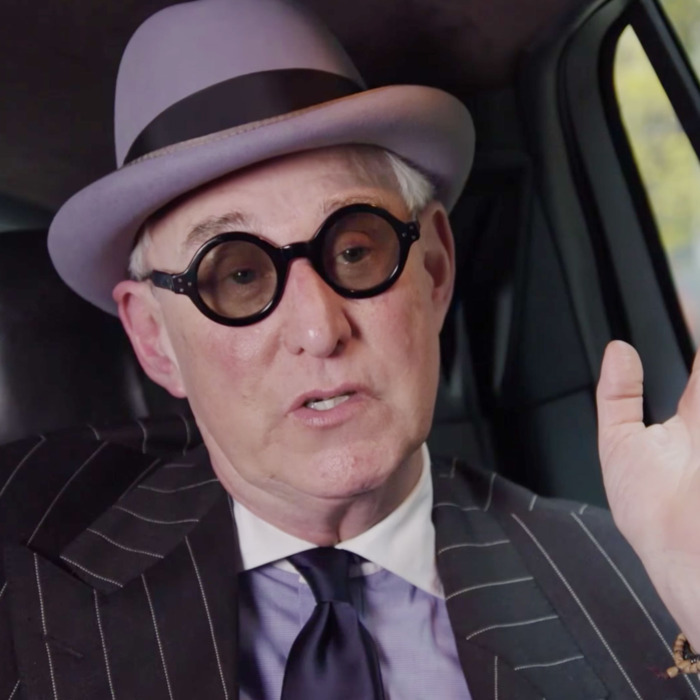 It’s not like Stone’s questionable ethics and tactics have been a mystery—he refers to himself as a “dirty trickster,” and a “provocateur,” while also denying that he ever broke the law. He also seems to have little regard for the law, however—he’s often referred to it and the institutions that define and enforce it as the “Deep State,” a term that’s been bandied about a lot during the Trump campaign and presidency. This term seems designed to paint everything the government does with a corrupt, shady, conspiratorial brush, and this of course becomes a self-serving justification for those who plan to push the legal limits. This becomes a “Looking Glass” situation that provides what some seem to think is the perfect defense and offense: how could I have violated a law when the law itself is either illegitimate, shady, or corrupt? Remember the Trump mantra, “Drain the Swamp?” Neptune and Pluto are enjoying a chuckle. It’s difficult to have any sympathy for this “Deep State” cynicism when we’ve just endured 35 days of only partial government services, witnessing thousands of Federal law enforcement and Homeland Security officials work without pay (yes, the FBI officers who arrested Stone before dawn did so while being unpaid). But I digress…this is about Stone and how his arrest in the pre-dawn hours of January 25th played against his natal chart. Biwheel #1: (inner wheel) Natal, Roger Stone, August 27, 1952, 12:00 p.m. DST (noon chart, no exact time known); (outer wheel) FBI arrest R Stone, January 25, 2019, 6:05 a.m. ST (news cited “just after 6 a.m.”), Ft. Lauderdale, FL. Tropical Equal Houses, True Node. Interchart Grand cross: Arrest Saturn-ASC-Pluto (Capricorn) oppose Stone Uranus (Cancer); this axis squares Stone Saturn/Neptune (midpoint, Libra) opposite Arrest Mars (Aries). Stone’s immediate reaction to being arrested was to deny any responsibility and to loudly proclaim that he will not testify against Trump, no matter what, because he would have to “bear false witness” to do so. Apart from the gag factor and the sketchy “victimization” claim here, Stone has to know from watching his former colleague Paul Manafort’s case that he can’t take a presidential pardon for granted—he may get a “thank you, hang in there” tweet, but if a pardon can be construed to implicate Trump in any way, it probably won’t happen. Add another square from Saturn and Pluto, not to mention an opposition from militant Arrest Mars (Aries), and it appears that Stone could be in serious jeopardy. He was arraigned, posted a hefty bail and was released yesterday, but the story is far from over. Deceptive, delusionary leadership and corrupt practices in businesses and government are all fair game with the Saturn/Neptune midpoint—the fact that Stone’s Uranus is involved suggests that the shock value of his arrest isn’t lost on this “provocateur”—a characterization that’s supported by his natal Uranus-Saturn/Neptune square. The Mueller team apparently requested a totally sealed indictment until after the arrest because they felt Stone would be a flight risk—that’s probably quite true, considering his Uranus placement. Interchart T-Square: Arrest Neptune (Pisces) opposes Stone Sun/Venus (midpoint, Virgo); this axis squares Arrest Jupiter-Venus (Sagittarius). The midpoint in question here speaks to many things, including a person’s personality traits, values and priorities, however one stands out: “Developing a flawed charisma because you lack honesty and sincerity in your appreciation of others…qualified love.” Stone has built an entire political consultant/lobbyist career on his unique brand of charisma, being outrageous and daring, and never shrinking from controversy as long as those who hired him are elected or otherwise achieve their aims. He apparently thinks it’s enough to simply “deny everything” when he crosses over legal lines, and that delusion has served him well over his 40-some year career. Whatever delusions Stone has been harboring may have been skewered by the exuberant Arrest Jupiter-Venus (Sagittarius) in this configuration. Of course, with his fixed Leo Mercury mindset, Stone isn’t likely to admit as much, and he will have his defenders, too—we can see that in the following. Interchart Grand Fire Trine: Arrest Mars (Aries) trines Stone Mercury-So. Node-Pluto (all Leo), which trines Arrest Jupiter-Venus trine. It’s fair to say that yesterday’s arrest will set off a pretty volatile chain reaction of events for Stone, however grand trines can also be supportive. Even so, the way the Arrest Mars-Saturn square plays into this doesn’t suggest an easy time for Stone. Stone’s Mercury disposes his Virgo Sun, so he has some powerful “tricks up his sleeve,” which may find some support. This same Sagittarian energy quincunxes his beleaguered Cancer Uranus, however, so his attempts to frame the narrative in his favor may ultimately fall flat. The long arm of the Law (Capricorn Saturn and Pluto) may not be as easily swayed as the social media world is. Personality and “spin” only count for so much. Arrest Jupiter-Venus also inconjoin his natal Taurus Jupiter here, yet Arrest Saturn and Pluto trine this same point: while he’s undoubtedly a wealthy man, Stone may find his legal expenses become quite damaging. Will he get “help” that could end up compromising his case or steering his testimony in some way? That sort of deal would only happen behind the scenes and may be reflected in Arrest Neptune opposing his natal Venus, which in turn disposes his natal Taurus Jupiter. Finally, it will be interesting to see what role Stone’s natal Mars (Scorpio) plays as his case begins to take shape in the courts. His Mars may or may not conjoin his Moon (it transited between 17°+Scorpio and 0°+Sagittarius that day), but it is inconjoined by Arrest Uranus here and that’s uncomfortable enough. This has been true for quite some time already, of course—he’s been called into Congress to testify, been called in to talk to the Mueller team—his actions during the 2016 campaign, his history with Trump and possible relationship with Wikileaks have been under scrutiny for most of this past year. This Mars sports a potentially ruthless, not to mention unscrupulous edge, and it's certainly a “power center” in Stone’s chart, even though it only widely opposes his Jupiter. Again, it’ll be interesting to see how the power playing unfolds in court and beyond. Stone seems to purposely evoke the Nixon years with this defiant gesture. “Stone's political career began in earnest on the 1972 Nixon campaign, with activities such as contributing money to a possible rival of Nixon in the name of the Young Socialist Alliance – then slipping the receipt to the Manchester Union-Leader. He also hired a spy in the Hubert Humphrey campaign who became Humphrey's driver. According to Stone, during the day he was officially a scheduler in the Nixon campaign, but "By night, I'm trafficking in the black arts. Nixon's people were obsessed with intelligence." Stone maintains he never did anything illegal during Watergate. Clearly, Stone has lived up to his potent Scorpio Mars—weaponizing “intelligence” in ways designed to undermine the candidates he decided to target. From his own words it seems that he embraces these “dark” goals—his attacks don’t happen inadvertently, or without intent. Are they truly “legal?” That’s another story—the past couple years have certainly made us choose whether we’re okay with the truth being malleable, if not entirely irrelevant, and I’m glad to see many signs in everyday life that the importance of truth and facts and science has largely won out. And yes, Stone was correct to label his skill for manipulating the facts for the sake of gain a “dark art;” unfortunately, with Pluto calling the shots, the consequences of doing so can be dire and even life-threatening. So, is his long history of dealing in all this just catching up with him, after all these years? Several planetary cycles are starting fresh between now and December, 2020, so between now and then we will see a lot of old, tired, corrupt energy cleared out. 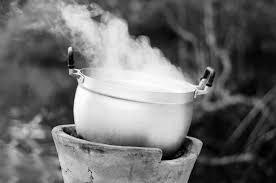 Unfortunately, that tired, outworn stuff has to surface before it can be cleared, so stay tuned! Raye Robertson is a practicing astrologer, writer and former educator. A graduate of the Faculty of Astrological Studies (U.K.), Raye focuses on mundane, collective-oriented astrology, with a particular interest in current affairs, culture and media, the astrology of generations, and public concerns such as education and health. Several of her articles on these topics have been featured in The Mountain Astrologer, The Astrological Journal, and other publications over the years. She is also available to read individual charts—for information about chart report options, contact her at: robertsonraye@gmail.com. Michael Munkasey, Midpoints: Unleashing the Power of the Planets, ACS Publications, San Diego, CA, p. 176.